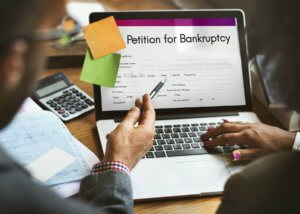 Considering Filing for Bankruptcy in Washington? In most cases, all it takes is one catastrophic event or one turn of bad luck to take you from financially stable to drowning in unmanageable debt. Perhaps you suffered an injury or illness that left you with crushing medical debts. Maybe you lost your job or made an investment that failed to pay off. Whatever the reason, if you are struggling with overwhelming debt, then filing for bankruptcy may be a viable option to help you reclaim control of your finances. Despite the stigma sometimes associated with bankruptcy, this process can help you end creditor harassment, save your house from foreclosure and discharge certain debts that you cannot repay. The details of the process will depend on your circumstances and the type of consumer bankruptcy you choose to file. However, the end goal is still the same: eliminate your debts and give yourself a fresh start financially. There are two main types of consumer bankruptcy: Chapter 7 and Chapter 13. Although either can relieve you of unwanted debts, they work very differently. An experienced Washington bankruptcy lawyer can offer you advice on which choice is best for your unique situation, and may be able to offer you bankruptcy alternatives as well. Below, local attorneys explain the basics of both types of bankruptcy and list the exemptions you may be able to use in your case. Income requirements and debt limits. Your eligibility for Chapter 13 debt relief typically depends on whether you have a steady monthly income that is sufficient to meet your expenses as well as the requirements of a payment plan. Additionally, you cannot file Chapter 13 if your debts exceed a certain amount, though the qualifying limits change yearly. Repayment plan. When you file for Chapter 13 bankruptcy, you must detail how much you owe and how much you can pay back each month. You may have some flexibility with this plan, but you must usually pay a substantial portion of your disposable income each month. The court will review your plan to see if it is fair and workable. If the court accepts your plan, then you must remain current with your payments throughout the bankruptcy process. You make your monthly payments to a bankruptcy trustee, who in turn pays your creditors in order of priority. Typically lasts three to five years. Unlike Chapter 7, which is over quickly, the Chapter 13 repayment plan usually lasts between three and five years. However, you may keep all of your property. Discharges unsecured debts and allows you to manage secured debts. At the end of the bankruptcy process, your remaining unsecured debts will be discharged. Additionally, the repayment plan can allow you to become current on certain debts, like your mortgage, which may survive. Certain debts survive Chapter 13 bankruptcy. Some debts are ineligible for discharge, including certain back taxes, student loans and child support payments. However, you must be current with your payments on these debts by the end of Chapter 13 bankruptcy. The means test. To be eligible to file this kind of bankruptcy, you must pass the “means test,” which compares your monthly income to the average income of a family of the same size. If your income does not exceed the median income for a similar household in your state, then you automatically qualify for Chapter 7 relief. If your income is more than the median, then you still may be eligible for Chapter 7, depending on the circumstances. Liquidation of non-exempt assets. When you file Chapter 7 bankruptcy, the court appoints a trustee who examines your finances and assets. Washington bankruptcy laws allow you to automatically keep certain property (see below). Depending on your situation, most or all of your property may be exempt. However, the trustee will liquidate or sell all non-exempt property, and use the money to pay a portion of your outstanding debts. Typically lasts three to six months. The entire Chapter 7 bankruptcy process typically lasts between three to six months. Discharges unsecured debts. At the end of the bankruptcy process, the court will grant you a discharge. This effectively erases all outstanding unsecured debts – you will not ever have to pay them back. However, you cannot file for Chapter 7 bankruptcy again for eight years. Certain debts may survive Chapter 7 bankruptcy. While bankruptcy can wipe away much of what you owe, certain debts cannot be discharged. Secured debts, such as a mortgage or car loan, cannot be discharged unless you also surrender the property. Additionally, overdue child support payments, certain types of back taxes and student loans are ineligible for discharge. What Are the Washington Bankruptcy Exemptions? Wages. Minimum 75% of earned but unpaid wages; bankruptcy judge may authorize more for low-income debtors. Wild Card. $2000 of any personal property (no more than $200 in cash, bank deposits, bonds, stocks & securities). What Are the Federal Bankruptcy Exemptions? $23,675 of equity in your primary home. This is the homestead exemption; you can use it to protect residential real estate as long as you live there. However, this does not extend to investments in rental properties. Your vehicle up to a value of $3,775. Jewelry valued up to $1,600. Household items worth up to a total of $12,625, as long as no single item is worth more than $600. This includes furniture, appliances, clothes, animals, books, etc. Tools for your work, including books, valued up to $2,375. A total of $12,625 in loan value, dividends or life insurance policy interest. Reasonable spousal and/or child support payments. All Social Security, unemployment, veteran’s and/or disability benefits. Personal injury compensation up to $23,675 (economic damages only). All retirement accounts. However, IRAs may only be exempt up to $1,283,025. Up to $1,250 plus the unused portion of your homestead exemption up to $11,850. This is the wildcard exemption; you may use it to protect any kind of property or liquid assets. For example, you may use some of your wildcard exemption to protect the rest of your car, if its value exceeds the allotted $3,3775. The federal government adjusts the limits of these bankruptcy exemptions every three years; the next adjustment should occur in April of 2019. The bankruptcy process can be complex, so if you have questions or concerns about some aspect of Washington bankruptcy law, then feel free to ask the lawyers. Alternatively, if you need debt relief now, then consult our local listings to find a qualified attorney in your area.